We Would like to introduce our newest product SculpSure! SculpSure is a non-invasive body contouring system for the reduction of stubborn fat in the areas such as the abdomen and love handles. The 25 Miinute procedure will destroy 25% of treated fat cells without surgery. SculpSure is ideal for people with trouble spots, particularly those that seem resistant to diet and exercise. If you would like to make a consultation please give our Tysons Corner office call. We are excited to announce two new additions to our Tamjidi Skin Institute Open House event! Introducing Ultherapy to lift skin on the neck, chin and brow and Kybella to improve the appearance and profile of moderate to severe fat below the chin. Consultations will be available on Thursday, December 3rd to determine if Ultherapy and/or Kybella is right for you. Tamjidi Skin Institute will be closed this Veterans Day November the 11th. Dr. Lucey is a board certified dermatologist who specializes in general dermatology and various cosmetic and surgical procedures. She also has a clinical interest and specialized training in pigmented lesions, dermoscopy and melanoma detection. 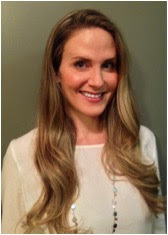 She grew up in the D.C area, obtaining her medical degree from the George Washington University Medical School, and then completed a cutaneous oncology/melanoma fellowship at Washington Hospital Center before going on to complete her dermatology training at Albert Einstein College of Medicine in New York City. Her accomplishments include induction into the Alpha Omega Alpha (AOA) Medical Honors Society, peer-reviewed journal publications and two book chapters. She is happy to be returning to the DMV and lives in Virginia with her husband and son. Dr. Lucey will be seeing patients at our Tysons Corner location on Tuesdays, Thursdays and Fridays starting in September. To make an appointment with her, please call (703) 345-6677. Stock up on Latisse in just one visit: For every 5 ml Latisse you purchase, receive a free 3 ml Latisse. Grow your lashes darker, thicker and longer and maintain them with daily use! Buy 2, Get 1 Free HydraFacials! This is a great opportunity to transform your skin with consistent HydraFacials . You will notice smoother texture, smaller pores, brighter, tighter skin, less blackheads and acne and reduction in sun damage.